Useful pc: Problems Homeshare /Mirror (Airplay) Ipad - Apple tv ? Problems Homeshare /Mirror (Airplay) Ipad - Apple tv ? 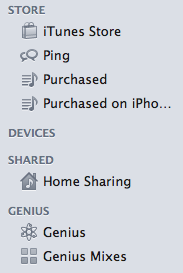 If the Home Sharing icon is not visible, choose Advanced > Turn On Home Sharing from the menu bar. (You can disable or enable Home Sharing for your computer using the Advanced menu.) Note: After enabling Home Sharing, the Home icon representing your computer is no longer visible. But sometimes this is not enough ! What happen is that Apple Tv not find your files that you share on itunes.I had big problem with this. And after reading on my router and and search on many place i just try myself. And i found what was wrong. Nobody told me this, so i share what i have done. This is my router Dovado 4GR , 3G and 4G router. But this router made problem. I tried to contact support and got an answer to update firmware on my router. Connect your iPhone or iPad and your Apple TV to the same Wi-Fi network. On your iPhone or iPad, double-click the Home Button to display your recently used apps. Swipe your recently used apps twice from left to right until you see the icon. Tap the icon to display a list of available AirPlay devices. Enable AirPlay Mirroring* from this menu by tapping the name of your Apple TV, then toggle the on/off slider to ON. For newbies this is same as you had a wire from your ipad to your tv. And you get the screen from your ipad onto your TV. You need to open some port in your router. Here is what i did to make homesharing work. 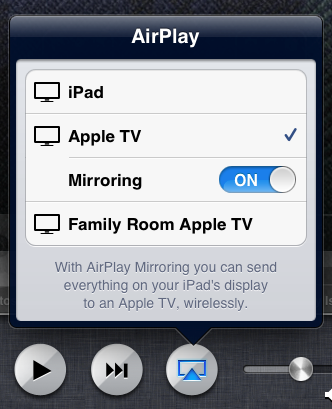 So to all that have problem with Homeshare and Mirror (Airplay) this i how you do. After i did this step everything was working. My Router is a DOVADO 4GR. - First i had to logg in to my router. Then i i read some information on This link. - Then i made a rule for my apple tv. See this video how you find your IP for Apple Tv. And UDP-port 123 og 5353. And then my Apple Tv found my files on Itunes. Sweet ! 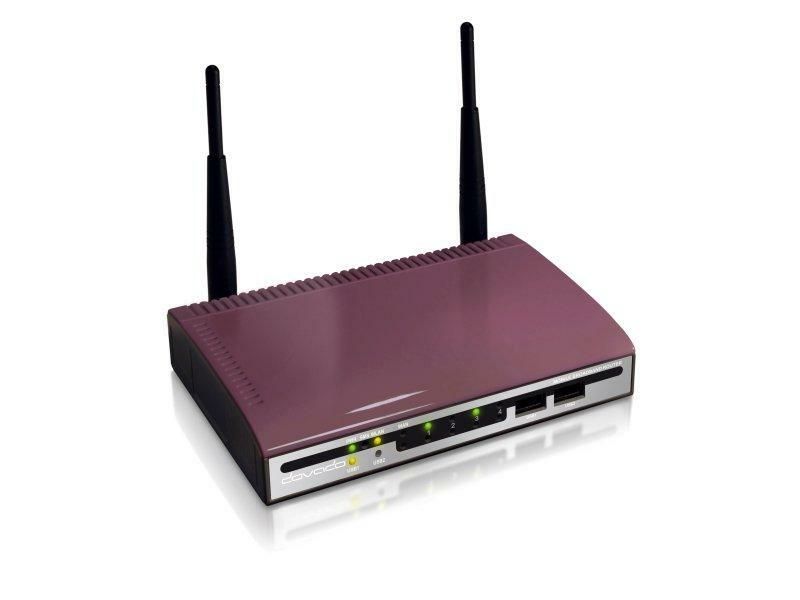 If you not have been able to get homesharing the problem is your router ! If you want more info about homeshare see this video.